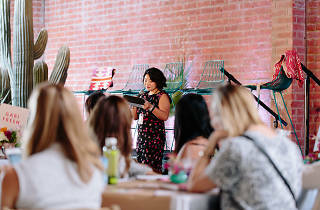 Create & Cultivate is a one-day intensive event for female entrepreneurs in the digital space. The conference is comprised of panels, workshops, mentor power hours, and breakout sessions, and also boasts snacks and cocktails as well as pop-up shopping opportunities. 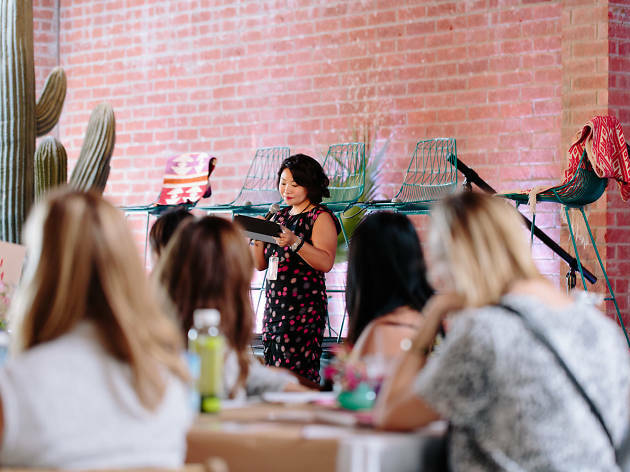 Whether you're launching a blog or business, developing content strategies or just taking your brand to the next level, Create & Cultivate is a great opportunity to network and bounce ideas off roomfuls of like-minded ladies (and a few gents, too). And if you don't consider yourself a full-time entrepreneur, don't fret: the conference caters to all types, even those with full-time jobs who are just looking to get a little more creative in their current fields. Kick off the weekend with a happy hour from 6pm to 7pm on Friday. The conference runs from 8am to 9pm (we said it was intensive!) on Saturday, May 7 at Hudson Loft and includes breakfast, lunch from SweetGreen, snacks (look for Coolhaus ice cream and Sprinkles cupcakes) and a few opportunities to rest, regroup and socialize throughout the day. Keynote speakers begin at 6pm, with two presentations before a 7pm-8pm happy hour and a finale keynote ending at 9pm. Check out this year's complete lineup here.